Click to the Oficial Observatory website. 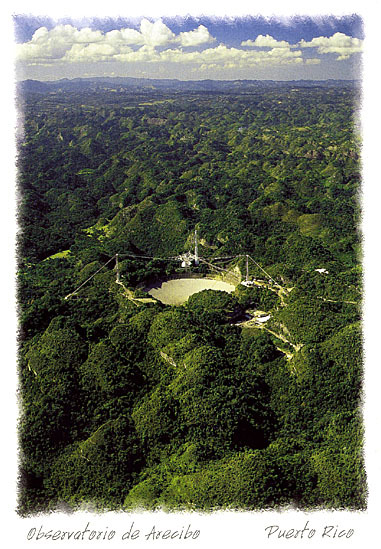 The above aerial photo of the Radio Telescope Dish in Arecibo, Puerto Rico was taken by A.E. Amador and the postcard can be purchased in many locations. You can notice that it is in the karst region of Puerto Rico, a unique limestone formation of little hills, caves, rivers.